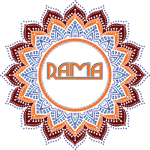 Here, at Rama Events Pvt. Ltd., you will get the right solutions for all kind of events. We are the leading event management company with specialisation in wedding planning offer you the best event management services. Every event is special for us and we leave no stone unturned in providing the final touch of success to the special day of your life. Accredited as the top wedding organisers in Delhi, we have been continuously offering bespoke event management. Being one of the award-winning corporate events planners in Delhi & NCR, we offer a gamut of services. Our incorporated offerings cover all kind of events. Here are the names of a few of them. We have a team of professionals who have expertise and experience enough in arranging occasion likewise that incorporates the development of a theme for and according to the occasion along with event backing and security and a lot more. If you are looking for wedding ceremony planner in Delhi, stop searching now. Feel free to give us a call or send us a mail.